Usually after emergency medical technicians bring a patient to a hospital, they have no idea what the final diagnosis and outcome are. That's not the case with Gold Cross Ambulance EMTs in Salt Lake City. Thanks to a health information exchange, those EMTs have access to information they would otherwise never know: what happened to their patients after the ambulance ride. Utah's HIE makes that feedback loop possible. 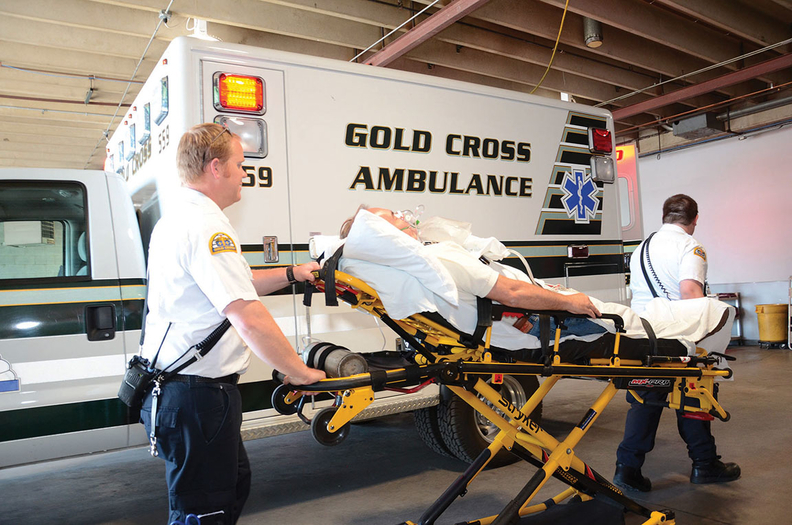 Every time Gold Cross transports a patient to the hospital, EMTs send a record of that care to the state HIE, the Utah Health Information Network, a private, not-for-profit organization. After that, the hospital (as long as it's one of the 90% of Utah hospitals participating in the HIE) does the same, submitting diagnosis, disposition and demographic information to the same HIE. The HIE then pushes the data to Gold Cross' patient-care reporting system (equivalent to an electronic health record), ESO. So as soon as EMTs log into the software, they see outcomes for the patients they transported. Diagnosis data encourage EMTs to dig deeper when assessing patients, said Jack Meersman, a paramedic and compliance officer for Gold Cross. “Just because it's shaped like an apple and is red like an apple and tastes like an apple doesn't mean it's necessarily an apple,” he said. By getting EMTs to better assess what kind of fruit that look-alike really is, as it were, Gold Cross can help cut down on medical errors by backing up their decisions with data-driven evidence. In the future, providers might also use the HIE information in prevention programs. Gold Cross, the Utah Health Information Network and community groups are currently looking into how they could use the data to connect people with programs that target, for instance, people at risk of falling. But for now, the data are used primarily for education. For instance, McDonald and fellow EMTs recently picked up a patient who presented with typical stroke symptoms and it turned out that hospital providers diagnosed him not with a stroke but with a psychological disorder. When the EMTs learned about the discrepancy in diagnoses, they discussed the final diagnosis and learned more about the disorder. Though there are other organizations doing similar work in the U.S., this approach is still unique, said Liz Cothren, engagement manager with the Advisory Board Co. “Pre-hospital providers have kind of had to fly blind,” she said. “This takes the guess factor out and allows pre-hospital providers to do a better job of delivering the right care at the right time to the right patient,” she said. One reason more health systems aren't providing this kind of feedback, she said, could be cost. It's one thing when the ambulance service is owned by a health system. But when it's owned by a county or private entity, who would bear the cost is less clear. In Gold Cross' case, a 2015 interoperability grant from the Office of the National Coordinator for Health Information Technology helped finance the link with the HIE, which itself also provided funding.